Gemini Forest has been supplying municipal projects across the United States for over 30 years. 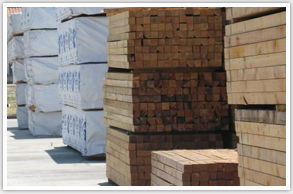 Our large inventory includes various Softwoods, Hardwoods, and Plywood that can be cut to requested length, treated and packaged to request. We offer delivery by truck, UP, and BNSF rail to ensure prompt delivery for various municipal projects. Gemini Forest Products has been working with the Municipalities Service Industry for over 30 years, which gives us the knowledge & ability to provide our customers with the most competitive pricing.